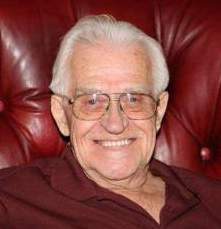 Philip Letz passed away on July 4, 2016 at Gemstone Care Centre, Kamloops, BC, at 87 years of age. Born in Medicine Hat, Alberta, on January 3, 1929, he is survived by his wife Dorothy Letz (nee Whitney); sons Bruce and Douglas; daughter Leslie and son-in-law Ken; as well as many grandchildren and great grandchildren. Philip was predeceased by his parents, all his brothers and sisters and by his son Blain. Philip owned Phil’s Backhoe Service and he maintained BC Hydro power lines for many years, until his retirement. He was a very good carpenter and handy man, he loved fishing, hunting and camping. A gathering to celebrate the life of Philip Letz was held at the North Shore Community Centre, 730 Cottonwood Avenue, Kamloops, BC on Sunday, July 10, 2016 from 1:30 until 3:30 p.m., with a social following at the Moose. Donations in memory of Philip Letz would be appreciated to the BC Alzheimer Society, P.O. Box 277, STN M, Kamloops, BC, V2C 5K6. My heart goes out to the whole family and thoughts and prayers. Grandpa Letz always made me feel welcome and had such as inviting smile even his eyes smiled! RIP Grandpa, you are now in a better place. Gone from here but never forgotten!